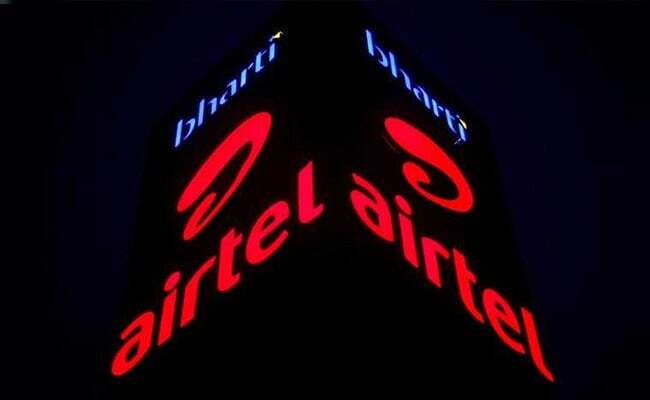 Bharti Airtel rolls out an yearly plan that offers unlimited local and STD calls. These calls include free national roaming and 100 free SMS. The plan offers 300 GB of internet data with it. Airtel has offered this prepaid plan to give Reliance Jio a run for its money. 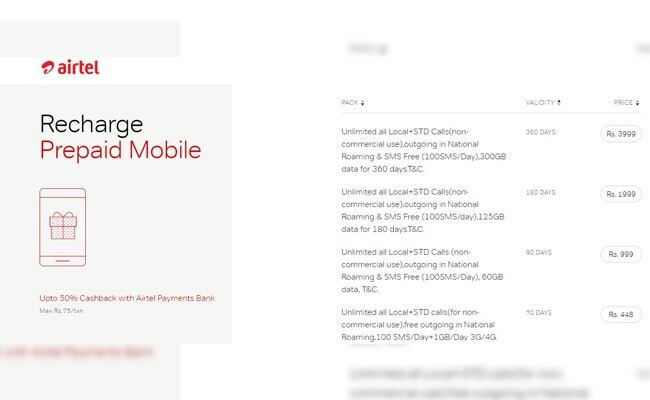 Charging for Internet data and offering unlimited outgoing calls along with it, an idea pioneered by Mukesh Ambani-led Reliance Jio, is now followed by Airtel, among other major telcos alike. The plan is meant for those whose data consumption is quite high. The plan leaves the subscribers poorer by Rs 333, which means only Rs 11 a day. There are other long term plans that Airtel offers include Rs 1,999 prepaid plan that offers unlimited local and STD calls, including national roaming. The plan is valid for 180 days and entails 125 GB data and SMS that are free subject to the maximum usage limit of 100 a day. Another plan, meant for those who don't want to loosen their purse strings much, costs Rs 999 and is valid for three months, 90 days to be precise. This prepaid recharge plan by Airtel offers 60 GB data and along with it, the subscribers are entitled to receive free local and STD calls that also include national roaming. The plan, like other prepaid plans, offers 100 SMS free of charge. 1. Airtel Rs 3,999 prepaid recharge plan offers 300 GB data that is valid for almost a year, or 360 days. 2. Airtel Rs 3,999 prepaid recharge plan offers free local and STD calls that also include national roaming. 3. Airtel Rs 3,999 prepaid plan, along with Internet date and unlimited calls, also offers 100 free SMS daily. 4. There is no capping on the number of calls that you can make in a day or a week or a month or 360 days, so long as the calls are made for non-commercial purpose only. 5. The messages are free but only subject to the limit of 100 in a day.